Passengers already booked on 3, 4 and 7 night Captain Cook Cruises in Fiji are in for a rare treat with their cruise to take place on the MV Reef Endeavour. With the MV Reef Escape undergoing extensive refurbishment the MV Reef Endeavour set sail for Fiji on Sunday morning as part of the plan by Captain Cook Cruises to exceed passenger's expectations. The Reef Endeavour departed White Bay, Port Jackson, Sydney on Sunday 10 January and is expected to reach Fiji on Monday 18 January. The Reef Endeavour has an extensive crew of Australians, Fijians and an English Captain. Captain Cook Cruises made the decision to deploy the Reef Endeavour to Fiji after the MV Reef Escape sustained damage during Cyclone Mick in December and wanted to continue servicing its passengers. 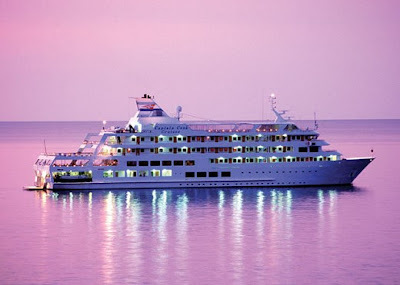 "The Reef Endeavour will take over our normal Fiji cruise schedule from Saturday 6th February 2010." Explains Nick Hortle, Captain Cook Cruises, CEO. "We wanted to bring the Reef Endeavour to Fiji so we could meet customer's expectations, continue offering our popular Fiji cruise itinerary and most importantly ensure passengers did not have to cancel any Fiji cruises booked with us throughout 2010. "Continues Mr Hortle. The Reef Endeavour will operate until the Reef Escape's refurbishment is completed. The MV Reef Endeavour was previously in service on the Great Barrier Reef in Queensland. It is a larger vessel than the Reef Escape, accommodating 150 passengers but like the Reef Escape was purposely built and originally designed to navigate shallow waters making her the ideal ship to provide the same 'up close and intimate' cruise and cultural experience of Fiji's Yasawa Islands. The Reef Endeavour also offers similar cruise facilities including Tabua Stateroom, stateroom and cabin accommodation, swimming pool, two spas, sports deck, mini gym, sauna, glass bottom boat, cocktail bar, dining saloon, lounge area, library and a gift shop.